A little tidbit about me. I love what I do! Photography is my passion and I make that shine in my work. I try to stay away from the typical and am always on the hunt for new ideas, techniques, props, and interesting people! I am constantly trying to feed my passion for cooking, blogging and traveling. ﻿ I have a wonderful, loving husband who usually accompanies me to shoots to hold white cards and reflectors. He also is the main hand model in most of my recipe blog posts. I also have a furbaby named Gizmo who I spoil way too much. Now, a little about my work: I specialize in wedding, engagement, and family sessions. Offbeat and Non-Traditional weddings are my true passion! I love couples who are doing something out of the ordinary, it always leads to something extraordinary in photographs. Whether I'm learning about new wedding traditions or shooting in a comic book store, these are the weddings I look forward to photographing. Weddings also build this incredible relationship with clients that last for a lifetime! Many of my client relationships start with their weddings and eventually lead to maternity, newborn and family portraits. I get to be part of all the key moments in people's lives. How awesome is that? If you take some time to look over my photography you'll see I have a much more photo-journalistic style. Whether you're laughing with your grandparents, spending time with your family or giving your father a hug as he walks you down the aisle, I feel these images are so much stronger than posed photos. ﻿Being able to capture memories and experience a variety of cultures, traditions and wonderful people is definitely﻿ a perk of my job. I have 10+ years of photography experience in both a corporate and freelance setting. I'm classically trained in not only film but digital. I have a bachelor's degree in the medium as well as many happy couples and reviews for references. Prices for shorter and smaller weddings typically start around $1,500 and go to $3,000. ﻿An average local 8 hour wedding will start around $2,200. All my photo packages are customized for each and every wedding as all couples require something different! Let me know what I can do to customize a photo package for you! If you're looking for our food & commercial work, visit our sister site at www.ayokitchen.com for more details! 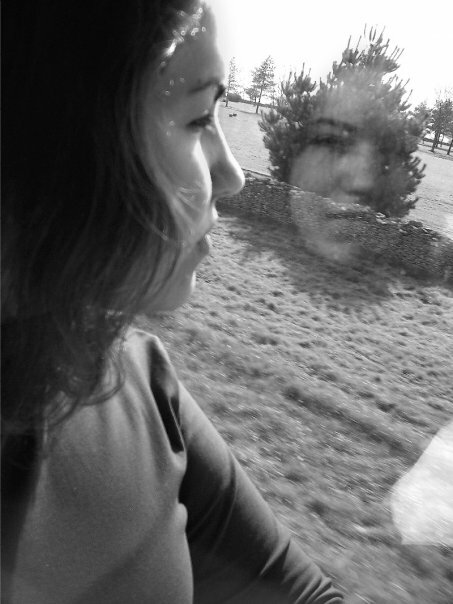 Self portrait on a bus in England.